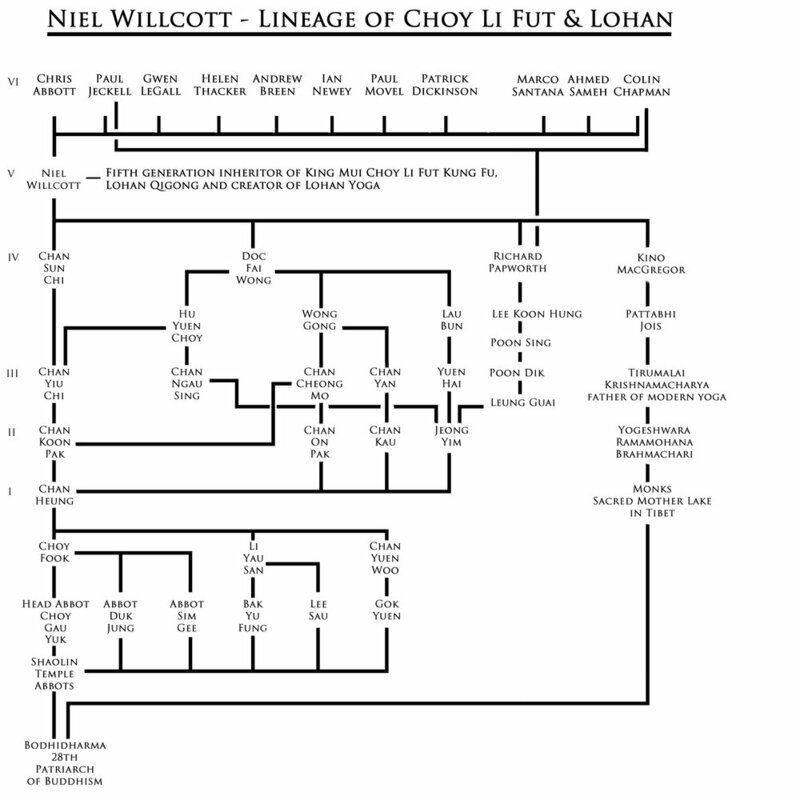 The official lineage of Niel Willcott for the Choy Li Fut Kung Fu, Lohan Qigong and Lohan Yoga. Listed students and instructors are welcome to use this for their schools betterment. Only selected and active black sash students have been included on the chart. Following you're arms natural energy flow around your body. This movement is found at the beginning, middle and end of the 18 Lohan pattern. This movement is found at the beginning, middle and end of the 18 Lohan pattern. You're welcome to use this video to help you learn Lohan yoga Qigong. Niel Willcott is showing the form in a simple way so it is easy for you to follow along. For anyone learning Lohan, this is a key transitional movement. Keeping your knuckles touching with your palms facing down, dive forwards with a squat and behind with a back bend. This is a transitional move used throughout the 18 Lohan pattern. This qigong, yoga movement opens and closes the yin and yang meridians. You’re welcome to use this video to help you learn 18 Lohan Qigong. Niel Willcott is showing the form in a simple way so it is easy for you to follow along. Once you know this movement you can then work on improving your flow and grace, for correction on this you are welcome to visit Niel’s Qigong studio in Norwich, UK.